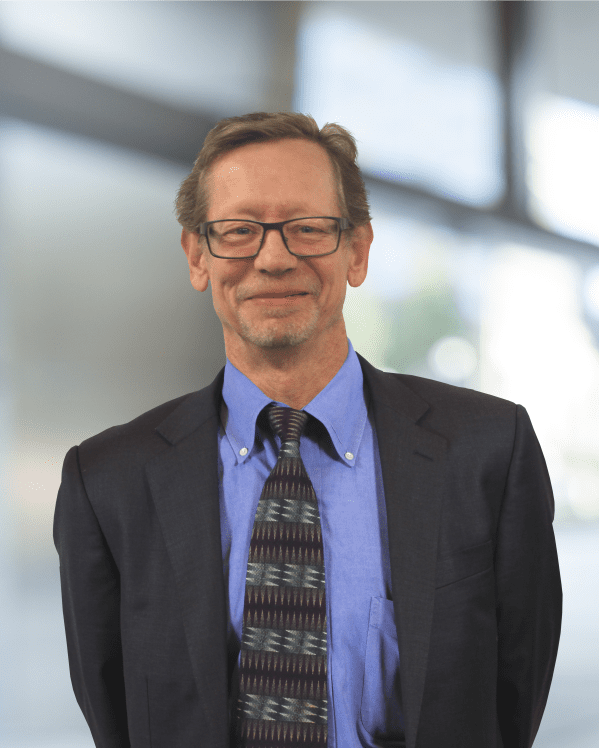 Mark Elmendorf, Principal Scientist, has over 30 years of experience in environmental consulting with an emphasis on regulatory analysis, vapor intrusion issues, air quality modeling/permitting issues, process safety management, and risk management programs. He has provided Expert Witness services to clients throughout the United States on both environmental litigation and environmental insurance coverage related matters. Expert services have included evaluation of intrusion pathways to determine the root cause of water damage claims, determining the age of water damage, and appraisal of appropriate remedy for final cure of remediation. Mr. Elmendorf has presented training programs on behalf of state agencies on various engineering and compliance requirements. He has extensive experience in process hazard analysis and root cause studies focusing on the chemical industry use, storage, and processing of hazardous materials. Principal-in-Charge for major Contaminant cleanup at Brookhaven National Laboratory in New York State. Responsible for the development and implementation of procedures during the excavation and processing of radiological, chemical, biological, and high hazard materials. This project included the oversight of ten safety professionals and sixty remediation workers. Principal-in-Charge providing expert services for a major class action case associated with a catastrophic release of a dense chemical mixture. The impact area exceeded 20 miles from the facility and included several jurisdictions. Provided expert services and deposition on key scientific issues representing the State Department of Environmental Quality. Principal-in-Charge providing expert services for a major class action certification motion. Case involved school age children seeking damages against a large school district. Client was several third-party contractors, which were involved in construction of the school buildings. Provided expert services and deposition on key scientific issues associated with microbial levels within the schools. Principal-in-Charge for a project to prepare an Environmental Impact Statement for an 80-acre truck engine plant. This included research of potential issues associated with the proposed action. Tasks included contacting local agencies, field surveys, and engineering studies to document compliance. Environmental Impact Statement (EIS) sections included hazardous material management, natural resources, water issues, air issues, drainage, and wetlands. Roux then prepared a comprehensive report, which detailed the findings of the evaluation. Principal-in-Charge for completion of a Title V Operating permit at a major pharmaceutical research and development (R&D) facility. The project included over 400 point sources, including pilot plant batch operations involving a variety of unit operations. Process equipment included filtration units, centrifuges, reaction, and evaporation vessels, dryers, and heat exchangers, as well as specialized organic synthesis processing equipment. Principal-in-Charge for the preparation of an OSHA Process Safety Plan for a complex toll batch production chemical plant. Applicable processes at the facility included high-pressure, high-heat reactors, distillation reactors, and vacuum systems. Developed PHA, SOP, change management, and BMP components for plant management. Civil District Court for the Parish of Orleans, SHEILA GUIDRY, INDIVIDUALLY AND ON BEHALF OF ALL OTHERS SIMILARLY SITUATED vs. DOW CHEMICAL COMPANY, ET AL, No. 09-7832, Division “K” Expert Report, Trial Testimony scheduled 2018. Class action involving hazardous material exposure from catastrophic release. Zizzo vs. Pender County Board of Education, State of North Carolina, County of Pender, File No. : 02CVS1064. Expert Report, Deposition on October 28, 2004, Case Consultation. Class action involving hazardous material and microbial exposure to school age children. Hendricks vs. Trade-Winds, State of New York, County of New, Index No. 15335/05. Expert Report, Trial Testimony December 12, 2008. Hazardous material exposure and property damage. Holland vs. W. M. Reality, Supreme Court of the State of New York, Kings County, Index No. 28601/05. Case consultation, Expert Report. Hazardous material exposure and property damage. Archstone-Smith, et al. v. Travelers Indemnity Co. of Illinois, et al., Fairfax City Circuit Court, File No. 279110.01530. Case Consultation, Expert Report. Multi-location high value case for various water intrusion, engineering and mold issues.